Somewhat overlooked in Sébastien Ogier’s victory at Rally Mexico, and with two weeks to go before Rally Argentina, was the fact that he has now become the third most successful driver in the WRC. Following his third consecutive Rally Mexico victory the Frenchman has beaten Carlos Sainz’s record of 26 wins (Colin McRae had 25) and with 27 wins to his credit is now only 3 victories behind Marcus Grönholm who has 30 wins to his credit. Mind you that still falls some way short of Sebastien Loeb’s 78 victories, but Ogier has time on his side. It took Sainz 14 years to rack up his 26 wins whereas Ogier has done it less than five. 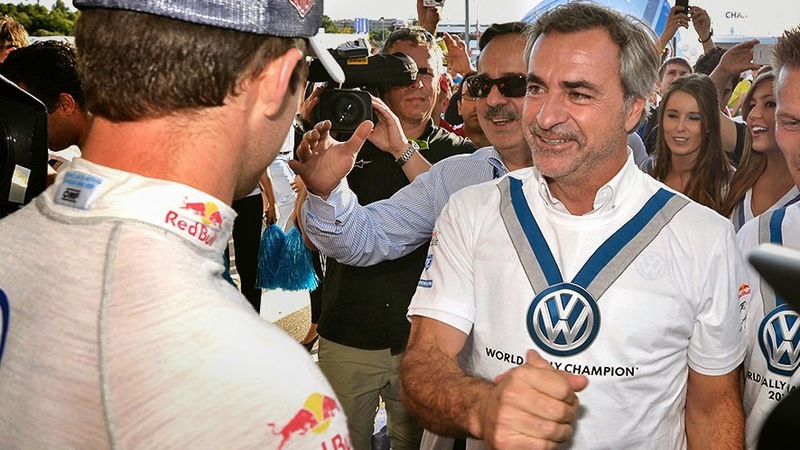 At present, Sainz and Ogier share one other statistic, both are double World Champs, Sainz in 1990 and 1992 and Ogier winning the crown for the past two seasons – and on current form, on his way to a third consecutive world title this year? It could be argued that the Volkswagen Polo WRC is the most competitive car and Ogier is part of the biggest team, but that would be churlish. He still has to drive the thing and get it to the finish, and as we’ve seen over recent events the difference between cars and drivers is measured in fractions of a second.